The leading US airline, United Airlines announced this week that it will begin nonstop services between Paine Field/Snohomish County Airport and its hubs in Denver and San Francisco. 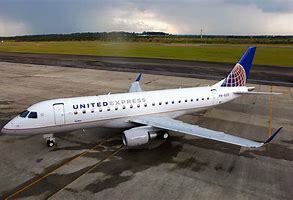 Subject to government approval, United will operate two daily flights from Denver and four daily flights from San Francisco, beginning March 31, 2019. Tickets are now available for purchase. "We are excited to offer our Seattle and Northwest Washington area travellers new opportunities to easily access our hubs in Denver and San Francisco," said Ankit Gupta, United's vice president of Domestic Network Planning. "With United's six daily flights from Paine Field beginning this spring, our new service will conveniently connect customers from the Northern Seattle, Snohomish and Northern King County areas to the world's largest business and leisure destinations with just one stop." United operates up to 40 daily flights between Seattle-Tacoma International Airport and its U.S. hubs. North Seattle and Northwest Washington are among the fastest growing areas in the nation and United's new service connects Paine Field to two of the airline's largest hubs offering customers more opportunities to easily connect to hundreds of domestic destinations including California's Central Coast, Colorado, Hawaii and New York City. United's new service also offers customers more opportunities to conveniently connect to popular international destinations including Sydney, London, and Mexico City. "We are excited about the business and travel opportunities that will come with United's service at Paine Field," said Dave Somers, Snohomish County Executive. "Snohomish County is proud to be part of this very exciting story in commercial aviation." "United's new service at Everett will allow customers to get on a United plane in Everett and easily connect to hundreds of destinations around the world while enjoying United's world-class service," said Brett Smith, Propeller Airport's CEO. United Airlines flies nonstop to more destinations in Asia than any other U.S. carrier from San Francisco International Airport, United's gateway to the Asia Pacific. The airline provides U.S. travellers with convenient access to some of the most dynamic cities throughout Asia and gives travelers access via San Francisco for onward convenient connections to destinations throughout the United States, Canada and Latin America.